Honouring and recognising the city of London through the power of images set to a beautifully orchestrated score, London Symphony – the crowdfunded documentary film from critic and filmmaker Alex Barrett – is an ode to a bustling, diverse and ever-changing capital. It’s a move to recapture the symphony films of the 1920s, when such metropolitan cities as Berlin and Paris where featured in their own films similar to this one. Barrett uses the familiar structure of a musical symphony – split into four separate parts – for his film, which has been shot in over 200 locations in and around the outskirts of London. It’s a short slice of city life (the film clocks in at a slim 72 minutes) that nods to the past but places its emphasis on the kind of place London is today – multicultural, full of building works and stunning architecture, with the old existing alongside the new. Cranes are everywhere, while big, modern buildings dominate the skyline, signposts signalling more construction work to come. We’re swept through parks, streets and into cinemas, museums and places of religious congregation, people captured scuttling about their business, meeting for drinks and taking leisurely walks. The clash of tourists and those with more time on their hands, able to stop, take it and appreciate the sights. Animals, too, are captured, as much part of city life as people – from squirrels scuttling to seagulls, which are more of a menace than they’re shown to be here. The multicultural, diverse aspect of London is a particular focus of Barrett’s. Mosques, Sikh temples and churches lie mere metres away from one another, the different communities often shoehorned together into tight spaces. But it works. No matter what colour or what religion, London is a space where all are welcome and harmony is encouraged. It shows how the clash of people, backgrounds and experiences benefits, rather than hinders, a city. Although it’s all done in black-and-white, it quickly becomes clear what a stunning place London is. Usually on film, whether it’s in narrative cinema or TV documentaries, the same areas of London are filmed. But Barrett, who was born in London and has spent the last few years piecing together this symphony, opens the lens up, showcases all areas of the city. From the inner city shopping and business districts to the many parks and typical housing areas that lie on the outskirts, accessible by the myriad of different transport choices. 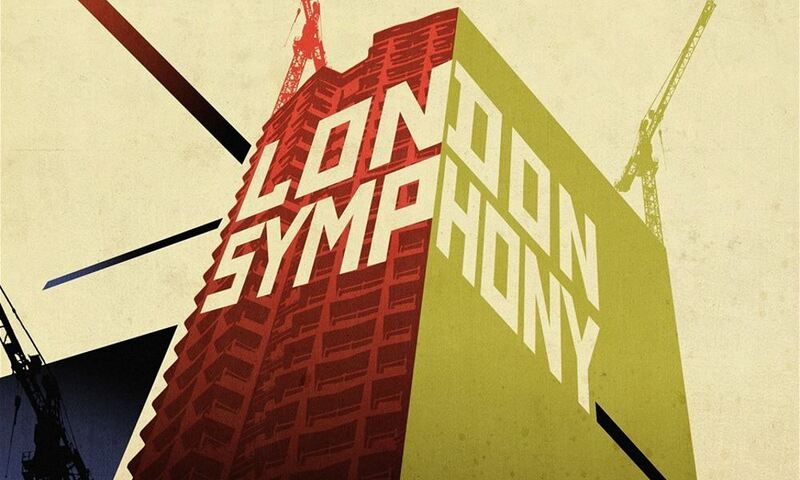 London Symphony, then, is a loving ode to the heart of the United Kingdom, a city that’s seen but not always truly appreciated. The original compositions of James McWilliam work beautifully with the images presented to deepen the meaning. As a salute to London, Barrett’s work is to be celebrated in itself. But as it comes after a recent spell of significant distress and upheaval to the city and its inhabitants – both locals and tourists – it’s existence is all the more significant.